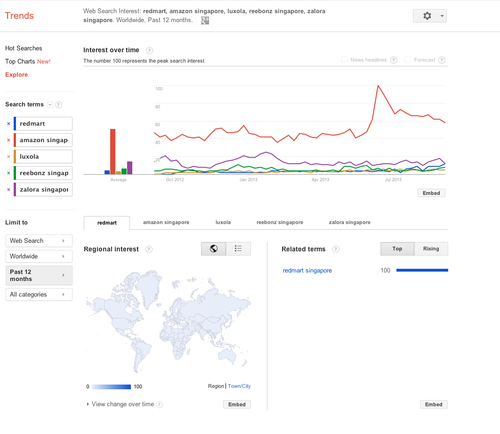 In light of Andrew Chen’s blog post on Google Trends, I was curious about the eCommerce players in Singapore vs the Region. This puts the size of Singapore sort of in perspective. Not scientific—though the spenders are here—Singapore is still a speck. 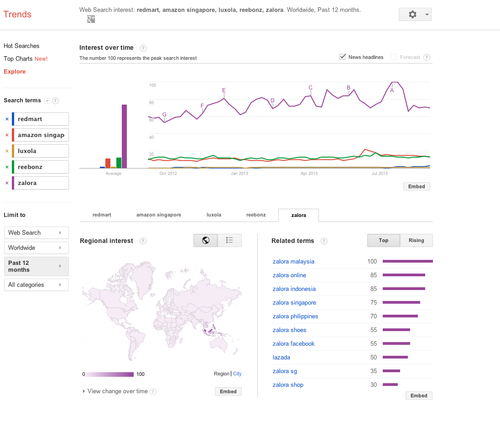 Zalora Malaysia and Indonesia rank higher on search trends. Looks like Zalora also did a lot of PRs the last twelve months vs the other players (the Letters on the graph indicate news headlines).